Please visit our shop to get fitted for your Stressless recliner. Find the chair that fits your body perfectly and experience true comfort! These chairs and sofas are made in Norway from only the finest leathers, hand selected from tanneries in Italy and South America. Customize your own recliner by choosing the style, size, finish, and leather you love! Since 1971, Stressless has offered tailored comfort through its patented Glide system and lumbar support system designed to match the changing contours of the back. Stressless, the largest Scandinavian furniture manufacturer, is endorsed by the American Chiropractic Association. 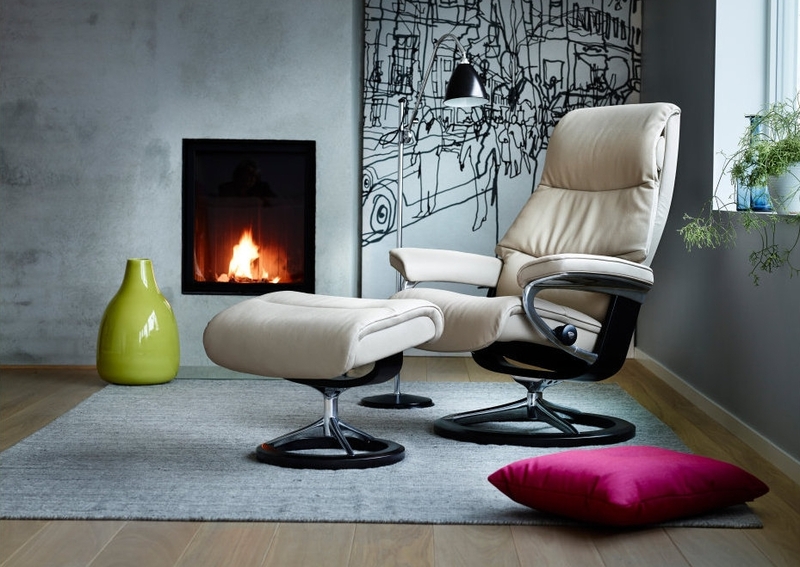 Stressless recliners are made in Norway by Ekornes ASA, one of the world's leading furniture manufacturers. The company also assembles sofas in an American production facility located in Morganton, North Carolina.